How can you support your child’s scientific knowledge and understanding? How can you encourage their curiosity about the world around them? 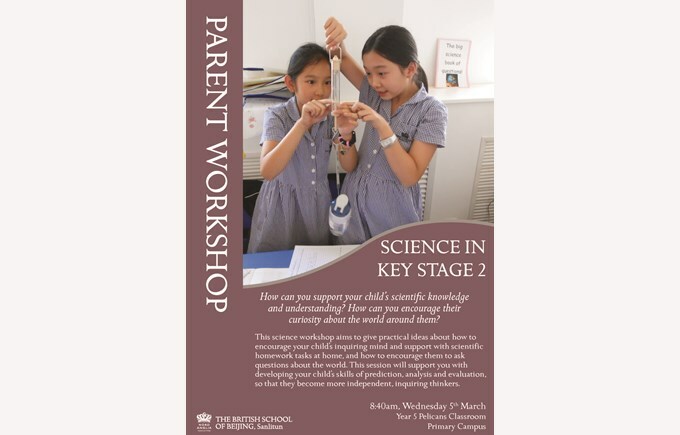 This science workshop aims to give practical ideas about how to encourage your child’s inquiring mind and support with scientific homework tasks at home, and how to encourage them to ask questions about the world. This session will support you with developing your child’s skills of prediction, analysis and evaluation, so that they become more independent, inquiring thinkers.